To promote physical fitness by recognizing members of the Association who achieve a maximum score on the Army Physical Fitness Test (APFT). Any person who is a member of the Association at the time the APFT is taken and has not previously received this award or is a student attending a Basic or Advanced Officer, Warrant Officer, or Noncommissioned Officer Course. APFT must be taken within the past 12 months. Score 300 points on any record APFT in accordance with Army Regulations. This award is for superior achievement in physical fitness. President Theodore Roosevelt established the first Army Physical Fitness Test in the War Department, General Order #240, dated December 4, 1907, when he advocated that it is just as much the duty of those who serve their country to adopt such measures and pursue such habits as will maintain a physical condition fit for service to their country, as it is to cultivate their minds and in fitting themselves for the intellectual duties of their profession. 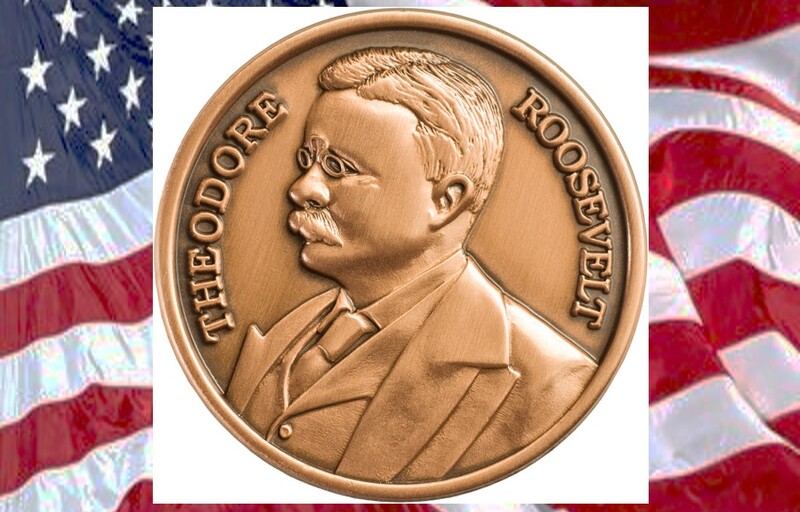 A replica of the original medal honors President Roosevelt’s name. Normally Army School Commandants and School Directors, or AGCRA Chapter Presidents will verify the awardee’s eligibility for this award. However, any person having firsthand knowledge of an individual’s achievement can recommend that individual for this award. A signed copy of the individual’s APFT score card will accompany the recommendation. This recommendation will be forwarded by email (preferred method) to awards@agcra.com or mailed to the Adjutant General’s Corps Regimental Association, ATTN: VP for Awards, PO Box 10026, Fort Jackson, SC 29207-0026. Army School Commandants and School Directors, or AGCRA Chapter Presidents will verify the awardee’s eligibility and forward, in memorandum format showing name and rank, a request for certificate and medal. Upon signature by the Association President, the certificate and medal will be forwarded to the requesting School or Chapter. Requests for those award nominees without an AGCRA Chapter will be verified by the Association Vice President for Awards, and certificates and medals will be forwarded to the requester. Presentation of the medal and certificate will be made with an appropriate air of formality and at fitting ceremonies such as Army School or unit formations, or at AGCRA functions. All awards will be recorded by entering the recipient’s name, rank and unit in a database maintained by the AGCRA VP for Awards. This database will be reviewed as part of the approval process.